Safran Helicopter Engines is unveiling its brand-new Aneto high power engine family at Helitech International, in London. Designed for new super-medium and heavy helicopter market, it incorporates ground-breaking technologies, developed as part of the Safran Helicopter Engines R&D roadmap. Aneto family will feature several models covering 2,500 to over 3,000 shp power range. Bruno Even, Safran Helicopter Engines president said, “Launching the Aneto engine family here in Helitech marks a major milestone for Safran Helicopter Engines. It is the result of a long and sustained strategy of technology acquisition and maturation. Today we are in position to bring to the market a new generation and competitive engine solution for the super-medium and heavy helicopter market, ready to enter service in the fourth quarter of 2018. We are convinced that Aneto will offer a new level of performance coupled with reduced operating costs”. 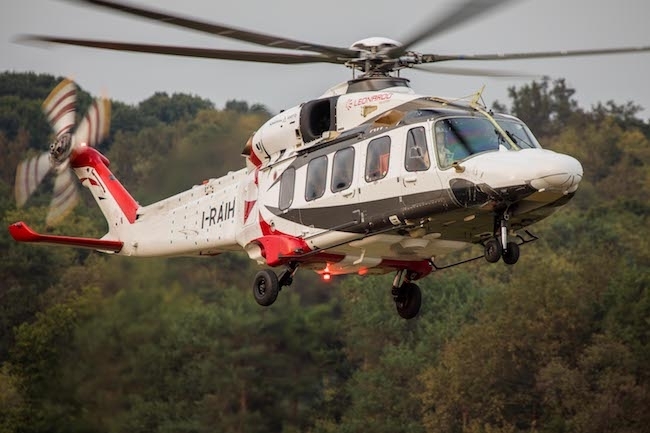 First 2,500 shp model, named Aneto-1K, has been selected by Leonardo to power its twin-engine AW189K. First flight of the Aneto-1K fitted to this helicopter has taken place on March 2017 and entry into service is scheduled for fourth quarter of 2018. Aneto-1K EASA certification will meet that timetable. Aneto engine family bring significant benefits: Thanks to an exceptional power-to-volume ratio, it offers 25% greater power (when compared to existing engines of same volume), contributing to increased mission capabilities especially during demanding missions requiring more power like offshore, search and rescue, fire-fighting or military transport, as well as better performance in “hot and high” conditions. The Tech 3000 technological demonstrator is a key building block of the Aneto family. It enables Safran Helicopter Engines to validate designs and technologies capable of delivering up to 15% better fuel economy over today’s high power engine models. These new technologies will be gradually incorporated in the Aneto models, depending on the power requirements and entry-into-service timeframe, resulting in improved range and payload and reduced environmental footprint. Aneto features higher reliability and safety. Its maintainability has been optimized with fewer scheduled maintenance tasks and longer maintenance intervals, and this new range will have connected features like health monitoring (predictive maintenance) and will be fully compatible with BOOST, our new online engine maintenance management service. Designed for next generation rotorcraft, Aneto is also a perfect drop-in engine solution for existing model. Safran Helicopter Engines has a long-tradition of naming its engines after features in the Pyrenees mountains, which overlook its Bordes headquarters. Arriel is a famous peak near the French-Spanish border, Arrius is the name of a high-altitude lake, and Makila refers to a traditional Basque walking stick. We chose the name Arrano for our new 1,100-1,300 shp engine, after a majestic black eagle featured in Basque folklore. For its new high power engine range, Safran Helicopter Engines have chosen the name Aneto. It is the name of the highest mountain in the Pyrenees, reaching a height of 3,404 meters. This name reflects Safran Helicopter Engines commitment to push the limits higher both in terms of technical and in service performance. It also symbolizes new levels of power and performance we are now able to reach.